Hard money loans are an often-overlooked method of obtaining the money you need. Hard money lenders are also sometimes referred to as private lenders. These loans are overlooked because they are not part of the mainstream lending industry. They lend money, but they are not subject to the strict regulations that other lenders are. Here are a few things that you need to know about hard money loans. Although it is not required that you be in a distressed situation to borrow money from a hard money lender, they commonly lend to those that are in distressed situations. Hard money lenders make a business out of lending to those that are facing foreclosure or some other financial problem. Hard money lenders will usually only loan with low loan-to-value ratios and therefore can protect themselves from foreclosure. If they have to take the property, they are confident that they can sell it for what they have invested. The costs associated with this type of loan are steep. In fact, you will probably end up paying at least twice as much for this type of loan as you would a regular loan. 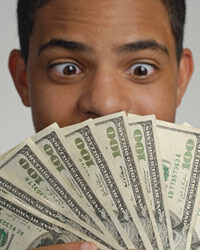 Hard money lenders specialize in lending to those in distressed situations. Therefore, they realize that they can charge higher rates and people will pay them. Those that often use hard money loans typically do not have any other options in front of them. Therefore, they will agree to the high interest rates and fees that are charged. A hard money loan is usually designed to be a short-term solution. You will not be able to refinance your mortgage with a hard money loan and leave it that way for the next 30 years. Most of the time a hard money loan is set up as a balloon loan with two years or less of payments. This means that you will make payments on the interest only during the term of the loan. Then at the end of the loan, you will be responsible for the entire amount that was borrowed. Therefore, it is designed to give you a short-term solution before you find alternative financing that is more agreeable. Finding good hard money lenders can be a little more difficult than finding a regular lender. Hard money lenders typically do not have the same setup that banks and mortgage lenders have. You may be able to find some online, but you will also find that they are limited geographically to where they can lend. Most hard money lenders are only licensed in one or two states to lend money in. This means that you will have to find one in your local market in most cases. If you do not qualify with traditional lenders, you might ask them if they know of any private lenders in the area. Sometimes they can refer you to a good hard money lender that they know.